In a Hurry? Way Ahead of Schedule? Either Way, Saving 20% Feels Great. 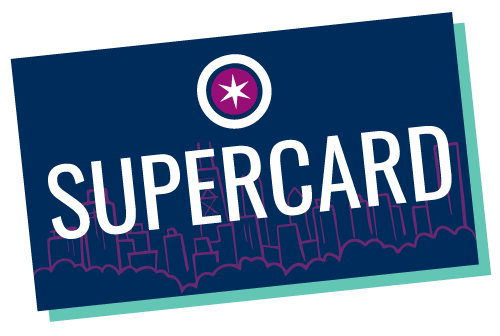 A CSSitters SuperCard is an easy way to prepay your Placement Fees and make booking a lot faster. SuperCards are $200 for 10 credits, which saves you 20%, no matter how far in advance you need to book your sitter. Remember, you still need to pay your Super Sitter! Based on the amount of notice you give CSSitters before a sitter request, you’ll use one, two, or three credits. You have one year to use up your card after the first use. We keep track of how many credits you have, so if you have questions about your balance get in touch. Contact Us to tell us you’re ready to purchase a SuperCard for yourself or as a gift! SuperCards expire one year from first use. Sitter hourly rate is separate and due to the sitter at the end of each placement. All Sitter assignments arranged by CSSitters will bill a minimum of 3 hours for each engagement. Makes a great gift for new parents!